Leading Light Technologies Ltd, trading as L2Tek, is a manufacturers’ representative and distributor specialising in electronics hardware, software and semiconductor IP for the broadcast, professional video, IPTV, surveillance and industrial imaging markets. In addition, the company offers design services based on extensive experience in these sectors. From a portfolio of complementary components and systems, L2Tek works closely with its customers to provide expert technical support, enabling rapid, cost-effective product innovation. L2Tek markets high performance semiconductors for image processing and related applications, FPGA IP, optical modules for video and telecom systems, power supplies, displays, single-board computers, and high speed connectors and interconnect assemblies. The company’s engineering services ensure that technical solutions are precisely tailored to individual requirements. For any information on any of our suppliers products or a quote please get in touch with us through the contact tab above. Quality products begin with a company that can demonstrate quality service. That’s why L2Tek is proud to exhibit the ISO 9001:2015 certification it has been awarded. It confirms our commitment to excellence in every aspect of our business and demonstrates all our business management systems conform to international quality standards. It also serves to highlight that we are a reliable partner committed to continuous improvement and innovation. industry leaders and their organisations, to facilitate wider communications between organisations thereby improving overall market visibility and opportunity identification, whilst leveraging best industry practice to reduce costs.  L2Tek also holds Silver membership with the IABM, an international trade association for suppliers of broadcast and media technology. IABM facilitates the important networking and interaction between suppliers that shape and define the unique ecosystem of the broadcast and media technology industry. Leading Light Technologies Ltd, trading as L2Tek, is a manufacturers’ representative and distributor specialising in electronics hardware, software and semiconductor IP for the broadcast, professional video, IPTV, surveillance and industrial imaging markets. In addition, the company offers design services based on extensive experience in these sectors.